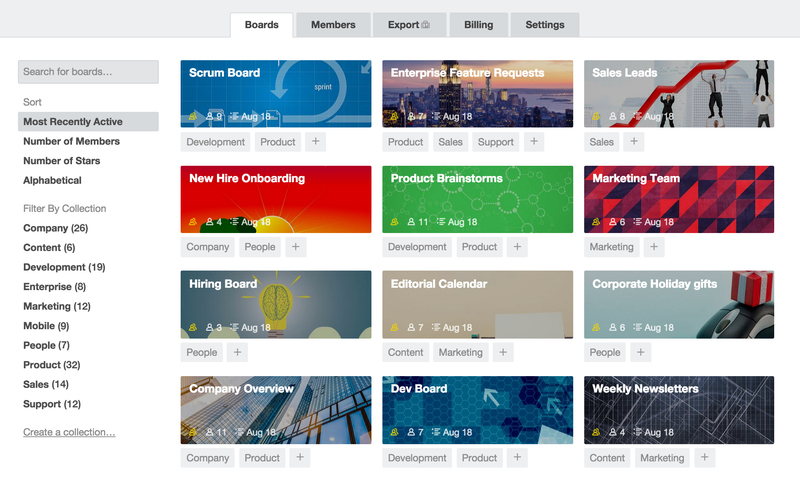 Back in 2013, project management service Trello launched its ‘Business Class‘ service as a basic paid offering for teams that needed extra features like Google Apps integration and more granular administrative controls. Today, the company is launching a revamped version of its business offering that introduces new features like third-party integrations with tools like Slack, GitHub and Salesforce. These new integrations — called Power-Up by Trello — will make life quite a bit easier for Trello users going forward. While you have long been able to connect Slack and Trello, for example, the new integration now lets you tell Trello to remind you of a card on one of your Trello boards in a few hours and then Slack will pop up a reminder later in the day. The previous integration only allows you to get an update in Slack when there was basic activity on your Trello cards, lists and boards. Similarly, the GitHub integration now allows you to see relevant details from GitHub (commit messages, pull requests, etc.) right on a Trello card that’s updated in real time. Other supported services include Box, Google Drive, Google Hangouts, Dropbox, Twitter, Evernote, Salesforce, Mailchimp, Help Scout and appear.in. These integrations, which will now also be available for Trello Enterprise users, are clearly the highlight of this release, but the company is also launching board collections for Business Class users. This new feature allows you to aggregate and highlight specific boards and makes it easier to filter them based on how many members they have, how often they were starred and what category they belong to. Just like the earlier version of Business Class, the updated version still includes a number of administrative controls for managing teams and keeping proprietary information safe. Admins can select who can be added to a team, for example (or give outsiders view-only access). The updated Business Class service, which also includes priority support, will cost $10 per month and user (and Trello will only bill companies for active users). Teams that used Trello’s existing Business Class tolls will be able to upgrade to the improved service at a discounted price or keep their current subscription.